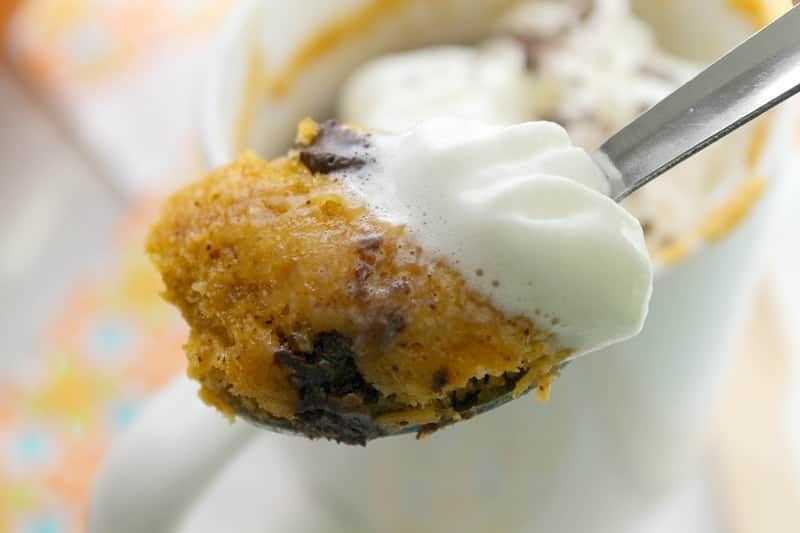 This Chocolate Chip Pumpkin Mug Cake is an easy to make homemade mug cake with a fall twist! 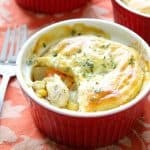 Made in the microwave in just a few minutes! Hey guys! I am back this week with another recipe for Pumpkin Week! 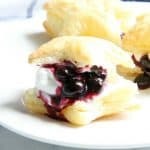 If you have not had a chance to check out all of the recipes, make sure you click on them below! 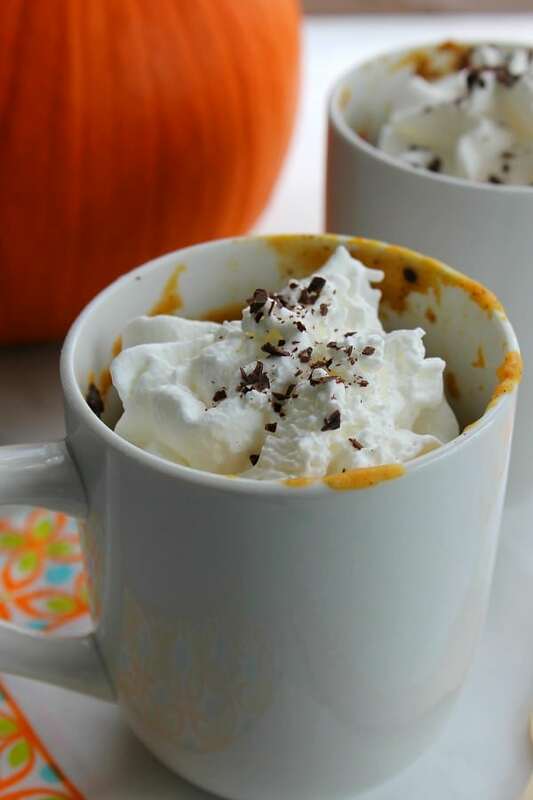 There are so many different things you can do with pumpkin! Need some ideas on how to use that leftover pumpkin that always goes bad in the refrigerator? 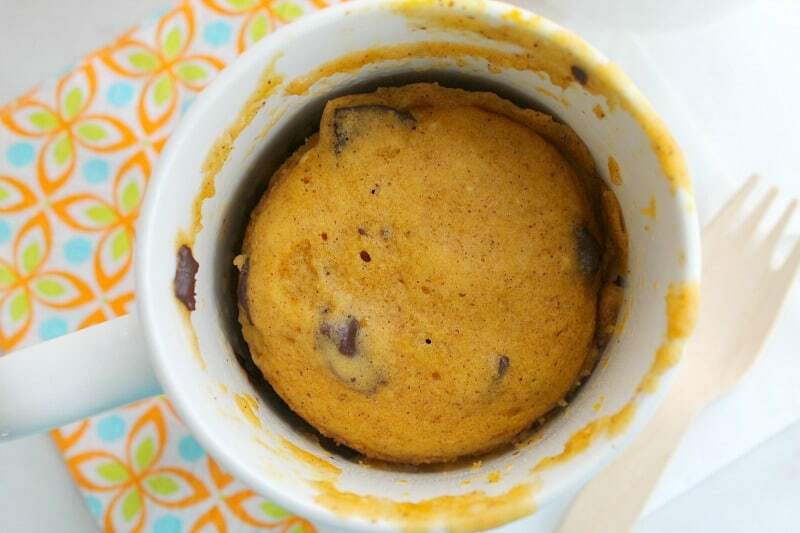 One way is this Chocolate Chip Pumpkin Mug Cake! Over the last few years I have made a lot of recipes with chocolate chips and pumpkin! It really is my favorite combination, so I knew I could not let fall roll by me without making something to include both of these flavors! Mug cakes are super easy to make and you basically get instant gratification! I mean, how cool is it that you have cake in under 2 minutes! Sometimes a girl just has to eat cake! Who’s with me? 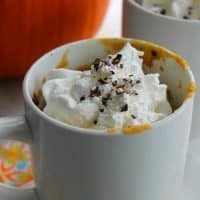 Awhile ago my daughter made a mug cake so I basically just used that recipe and added a fall twist to it by using pumpkin! I am so glad I did! It is amazing and I love how the chocolate melts just enough! ENJOY! In an 8 ounce mug whisk together flour, sugar, baking soda and cinnamon. Stir in oil, milk, and pumpkin. Microwave on high for 2 minutes. This would be a perfect quick dessert when it is just the two of us. Thanks for sharing. 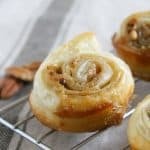 Looking for the pumpkin coffee cake recipe. Thanks!! I love mug cakes!! Thanks for sharing on the What’s for Dinner link up!! You are right! Nice way to use up that little bit of pumpkin leftover from something else that you don’t know what to do with. Thanks for sharing on Family Joy Blog Link-up. Please come back and join us again! Remember to leave your host a comment to increase the chance of being featured. What a perfect idea, i must get a very large coffee cup. Thank you for sharing and I would like to invite you to come visit a new and exciting blog hop at Home Cooking called Share the Love. I hope you come check us out. 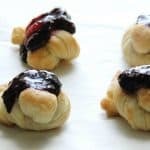 http://homecookingrecipebox.blogspot.com/ Have a fun week. Looks like I will be spending a little more time on ye old treadmill! Mug cakes are my new favorite thing. I must try this one. It looks delicious. It looks and sounds amazing!